For other uses, see Kaluga (disambiguation). 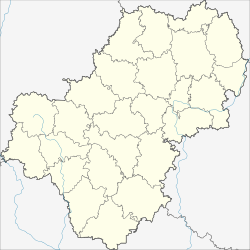 Kaluga (Russian: Калуга, IPA: [kɐˈɫuɡə]) is a city and the administrative center of Kaluga Oblast, Russia, located on the Oka River 150 kilometers (93 mi) southwest of Moscow. Population: 324,698 (2010 Census); 334,751 (2002 Census); 311,319 (1989 Census). 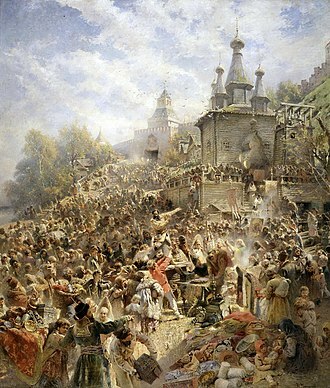 Kaluga, founded in the mid-14th century as a border fortress on the southwestern borders of the Grand Duchy of Moscow, first appears in the historical record in chronicles in the 14th century as Koluga; the name comes from Old Russian kaluga - "bog, quagmire". During the period of Tartar raids it was the western end of the Oka bank defense line. 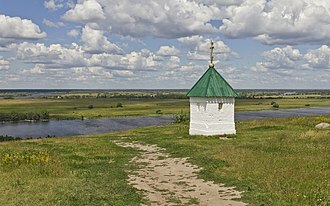 The Great stand on the Ugra River was fought just to the west. In the Middle Ages Kaluga was a minor settlement owned by the Princes Vorotynsky. The ancestral home of these princes lies southwest of the modern city. On 19 January 1777 the Kaluga drama theatre opened its first theatrical season, established with the direct participation of the Governor-General M. N. Krechetnikov. Kaluga is connected to Moscow by a railway line and by the ancient roadway, the Kaluga Road (now partly within Moscow (as Starokaluzhskoye Shosse - the Old Kaluga Highway), partly the A101 road). This road offered Napoleon his favored escape route from the Moscow trap in the fall of 1812. 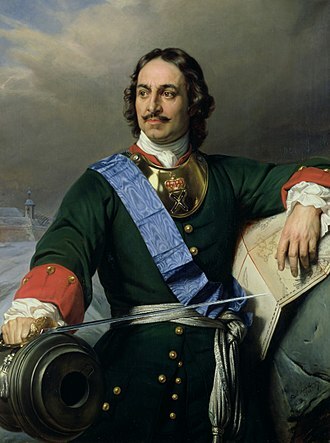 But General Kutuzov repelled Napoleon's advances in this direction and forced the retreating French army onto the old Smolensk road, previously devastated by the French during their invasion of Russia. On several occasions during the Russian Empire Kaluga was the residence of political exiles and prisoners such as the last Crimean khan Şahin Giray (1786), the Kyrgyz sultan Arigazi-Abdul-Aziz (1828), the Georgian princess Thecla (1834–1835), and the Avar leader Imam Shamil (1859–1868). Kaluga was briefly occupied by the German army in Operation Barbarossa during the climactic Battle of Moscow. It was occupied from October 12, 1941 to December 30, 1941. 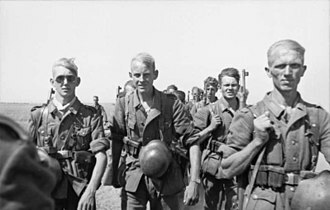 In 1944 the Soviet Government used its local military buildings to intern hundreds of Polish POWs—soldiers of the Polish Underground Home Army—whom the advancing Soviet front had arrested by in the Vilno area. Kaluga is the administrative center of the oblast. Within the framework of administrative divisions, it is, together with seventy-two rural localities, incorporated as the City of Kaluga—an administrative unit with the status equal to that of the districts. As a municipal division, the City of Kaluga, together with one rural locality in Ferzikovsky District (the selo of Novozhdamirovo), is incorporated as Kaluga Urban Okrug. In Kaluga, Kaluga Turbine Plant is located, is part of the company Power Machines; Kaluga Machine Works manufactures track machines for railways, plant a foreign company MACO Door & Window. On November 28, 2007, Volkswagen Group opened a new assembly plant in Kaluga, which has been further expanded by 2009. The investment has reached more than 500 million Euro. The plant currently[when?] assembles the Volkswagen Passat, Škoda Fabia and Škoda Rapid. On October 15, 2007, the Volvo Group broke ground on a new truck assembly plant, that was inaugurated on January 19, 2009. The plant has a yearly capacity of 10,000 Volvo and 5,000 Renault trucks. On December 12, 2007, PSA Peugeot Citroën announced its decision to build a new assembly plant in Kaluga. By March 2010 the plant was operational, building Peugeot 308s for the Russian market and would also produce Citroën and Mitsubishi models. The city is served by the Grabtsevo Airport. Since 1899, there is a railway connection between Kaluga and Moscow. 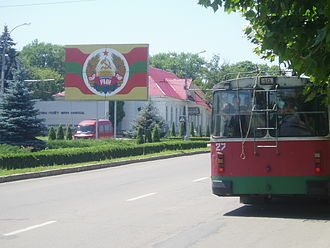 Public transportation is represented by the trolleybuses, buses, and marshrutkas (routed taxis). Kaluga has a humid temperate continental (Köppen climate classification: Dfb), with warm and humid summers; and long, cold and snowy winters. Winter extreme records can be as low as −45 °C (−49 °F), while summer heat may reach up +40 °C (104 °F), but usually it's about between −5 °C (23 °F) and −20 °C (−4 °F) during winter and between 15 °C (59 °F) and 30 °C (86 °F) during summer in Kaluga. "www.meteoinfo.ru". Retrieved 3 September 2012. Kaluga is known for its most famous resident, Konstantin Tsiolkovsky, a rocket science pioneer who worked here as a school teacher. The Tsiolkovsky State Museum of the History of Cosmonautics in Kaluga is dedicated to his theoretical achievements and their practical implementations for modern space research, hence the motto on the city's coat of arms: "The Cradle of Space Exploration". Bulat Okudzhava, lived and taught Literature in public school in 1980th. ^ E.M. Pospelov, Geograficheskie nazvaniya mira (Moscow: Russkie slovari, 1998), p. 181. ^ "RIA Novosti 26 March 2010". En.rian.ru. 2010-03-26. Retrieved 2014-02-24. ^ "Train Station in Kaluga" (in Russian). Nnov-airport.ru. Retrieved 2014-02-24. ^ "Ими гордится Калуга ("They Bring Pride to Kaluga")" (in Russian). Kaluga: Office of the Affairs of the Mayor of Kaluga. Retrieved 2009-10-01. ^ "Patengemeinden". Binningen.ch. February 9, 2014. Retrieved February 24, 2014. Законодательное Собрание Калужской области. №473 27 марта 1996 г. «Устав Калужской области», в ред. Закона №681-ОЗ от 27 февраля 2015 г. «О внесении изменений в Устав Калужской области». Опубликован: "Весть", №79, 9 апреля 1996 г. 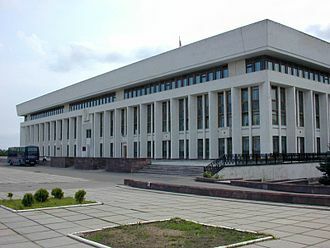 (Legislative Assembly of Kaluga Oblast. #473 March 27, 1996 Charter of Kaluga Oblast, as amended by the Law #681-OZ of February 27, 2015 On Amending the Charter of Kaluga Oblast. ). Законодательное Собрание Калужской области. Закон №7-ОЗ от 28 декабря 2004 г. «Об установлении границ муниципальных образований, расположенных на территории административно-территориальных единиц "Бабынинский район", "Боровский район", "Дзержинский район", "Жиздринский район", "Жуковский район", "Износковский район", "Козельский район", "Малоярославецкий район", "Мосальский район", "Ферзиковский район", "Хвастовичский район", "город Калуга", "город Обнинск", и наделении их статусом городского поселения, сельского поселения, городского округа, муниципального района», в ред. Закона №620-ОЗ от 29 сентября 2014 г. «О внесении изменений в Закон Калужской области "Об установлении границ муниципальных образований, расположенных на территории административно-территориальных единиц "Бабынинский район", "Боровский район", "Дзержинский район", "Жиздринский район", "Жуковский район", "Износковский район", "Козельский район", "Малоярославецкий район", "Мосальский район", "Ферзиковский район", "Хвастовичский район", "город Калуга", "город Обнинск", и наделении их статусом городского поселения, сельского поселения, городского округа, муниципального района"». Вступил в силу после официального опубликования, за исключением положений о муниципальном образовании "Город Калуга", для которых установлены иные сроки вступления в силу. Опубликован: "Весть", №402–404, 29 декабря 2004 г. (Legislative Assembly of Kaluga Oblast. Law #7-OZ of December 28, 2004 On Establishing the Borders of the Municipal Formations Located on the Territory of the Administrative-Territorial Units of "Babyninsky District", "Borovsky District", "Dzerzhinsky District", "Zhizdrinsky District", "Zhukovsky District", "Iznoskovsky District", "Kozelsky District", "Maloyaroslavetsky District", "Mosalsky District", "Ferzikovsky District", "Khvastovichsky District", "City of Kaluga", "City of Obninsk", and on Granting Them the Status of an Urban Settlement, Rural Settlement, Urban Okrug, Municipal District, as amended by the Law #620-OZ of September 29, 2014 On Amending the Law of Kaluga Oblast "On Establishing the Borders of the Municipal Formations Located on the Territory of the Administrative-Territorial Units of "Babyninsky District", "Borovsky District", "Dzerzhinsky District", "Zhizdrinsky District", "Zhukovsky District", "Iznoskovsky District", "Kozelsky District", "Maloyaroslavetsky District", "Mosalsky District", "Ferzikovsky District", "Khvastovichsky District", "City of Kaluga", "City of Obninsk", and on Granting Them the Status of an Urban Settlement, Rural Settlement, Urban Okrug, Municipal District". Effective as of after the official publication, with the exception of the clauses regarding the municipal formation of the "City of Kaluga", for which different dates of taking effect are specified.). 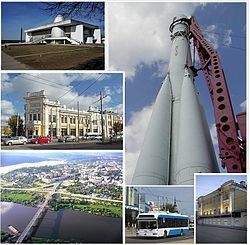 Wikimedia Commons has media related to Kaluga. Makhachkala is the capital city of the Republic of Dagestan, Russia. It is located on the shore of the Caspian Sea and is home to the Makhachkala Grand Mosque. As of the 2010 Census, the city had a population of 572,076, the city has an ethnic plurality, with the Avars and Laks as the largest groups. Founded as a fortress of the Russian Empire in 1844 and given city status thirteen years later, makhachkalas historic predecessor was the town of Tarki, now a nearby suburb, whose history goes back to the 15th century and possibly much earlier. The modern city of Makhachkala was founded in 1844 as a fortress, the original Russian name of the city was Petrovskoye —after the Russian Tsar Peter the Great who visited the region in 1722 during his Persian Campaign. 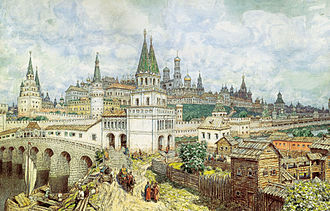 However, among the locals it was known as Anzhi-Qala, The Pearl Fortress, after gaining city status, the Petrovskoye fortress was renamed Petrovsk-Port in 1857, sometimes simply Petrovsk. In 1894, a line linked the city to Vladikavkaz and Baku, yet a report from 1904 detailed the spread of malaria. In January 1919, during the Russian Civil War, the British No.221 Squadron Royal Air Force based themselves at Petrovsk, in March they were joined by No.266 Squadron and both squadrons were involved in bombing operations against Bolshevik forces in Astrakhan and elsewhere. In August 1919 both squadrons were withdrawn from Petrovsk, the city was invaded by the Red Army in Spring 1920. On the same day, it became capital of the newly formed Dagestan Autonomous Soviet Socialist Republic, the city incurred major damage during an earthquake on 14 May 1970. The area was used as a Soviet-era naval testing station, leaving behind a curious sea fort off nearby Kaspiysk.42. 896598°N47. 681274°E /42.896598,47. But even a short visit revealed acute problems, including dirty streets, dilapidated buildings, inadequate utilities, hectic construction, lack of planning, as a municipal division, the City of Makhachkala is incorporated as Makhachkala Urban Okrug. For the purposes of administration, the city is divided into three city districts, from west to east, Kirovsky and Leninsky, in May 2015, these three city districts were granted municipal status. Yalta is a resort city on the south coast of the Crimean Peninsula surrounded by the Black Sea. It serves as the center of Yalta Municipality, one of the regions within Crimea. The city is located on the site of an ancient Greek colony and it is situated on a deep bay facing south towards the Black Sea, surrounded by the mountain range Ai-Petri. It has a humid subtropical climate and surrounded by numerous vineyards and orchards. The existence of Yalta was first recorded in the 12th century by an Arab geographer and it became part of a network of Genoese trading colonies on the Crimean coast in the 14th century, when it was known as Etalita or Galita. Yalta was annexed by the Russian Empire in 1783, along with the rest of Crimea, sparking the Russo-Turkish War, prior to the annexation of the Crimea, the Crimean Greeks were moved to Mariupol in 1778, one of the villages they established nearby is called Yalta. 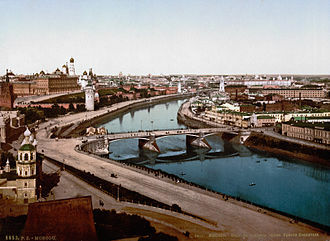 In the 19th century, the became a fashionable resort for the Russian aristocracy. The town was closely associated with royalty. In 1889 Tsar Alexander III finished construction of Massandra Palace a short distance to the north of Yalta, during the 20th century Yalta was the principal holiday resort of the Soviet Union. Numerous workers sanatoria were constructed in and around Yalta and the surrounding district, there were, in fact, few other places that Soviet citizens could come for a seaside holiday, as foreign travel was forbidden to all but a handful. The Soviet elite came to Yalta, the Soviet premier Joseph Stalin used the Massandra Palace as his summer residence, Yalta was occupied by the German Army from 9 November 1941 to 16 April 1944. 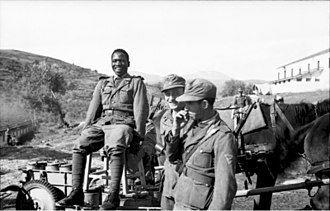 The town came to attention in 1945 when the Yalta Conference between the Big Three powers – the Soviet Union, the United States and the United Kingdom – was held at the Livadia Palace. Following the dissolution of the Soviet Union in 1991, Yalta has struggled economically, the towns transport links have been significantly reduced with the end of almost all passenger traffic by sea. Minsk (Belarusian, Мінск pronounced, is the capital and largest city of the Republic of Belarus, situated on the Svislach and Nyamiha rivers. It is the centre of the Commonwealth of Independent States. 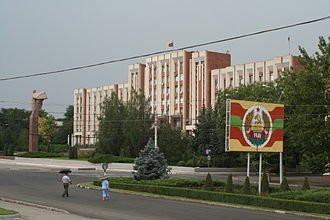 As the national capital, Minsk has an administrative status in Belarus and is the administrative centre of Minsk Region. In 2013, it had a population of 2,002,600, the earliest historical references to Minsk date to the 11th century, when it was noted as a provincial city within the principality of Polotsk. The settlement developed on the rivers, in 1242, Minsk became a part of the Grand Duchy of Lithuania. It received town privileges in 1499, from 1569, it was a capital of the Minsk Voivodeship in the Polish–Lithuanian Commonwealth. It was part of a region annexed by the Russian Empire in 1793, from 1919 to 1991, after the Russian Revolution, Minsk was the capital of the Byelorussian Soviet Socialist Republic within the Soviet Union. Minsk will host the 2019 European Games, Minsk is located on the southeastern slope of the Minsk Hills, a region of rolling hills running from the southwest to the northeast – that is, to Lukomskaye Lake in northwestern Belarus. The average altitude above sea level is 220 metres, the physical geography of Minsk was shaped over the two most recent ice ages. There are six smaller rivers within the city limits, all part of the Black Sea basin, Minsk is in the area of mixed forests typical of most of Belarus. Pinewood and mixed forests border the edge of the city, especially in the north, some of the forests were preserved as parks as the city grew. The city was built on the hills, which allowed for defensive fortifications. Minsk has a warm summer humid continental climate, owing to its location between the strong influence of the moist air of the Atlantic Ocean and the dry air of the Eurasian landmass. Its weather is unstable and tends to change often, the average January temperature is −4.5 °C, while the average July temperature is 18.5 °C. The lowest temperature was recorded on 17 January 1940, at −40 °C and the warmest on 29 July 1936 at 35 °C and this results in frequent fogs, common in the autumn and spring. Minsk receives annual precipitation of 690 millimetres, of one third falls during the cold period. 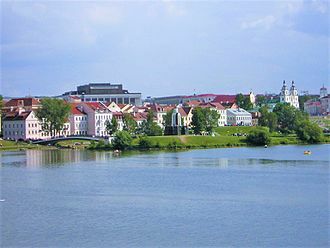 Leszno is a town in western Poland with 64,612 inhabitants. Situated in the part of the Greater Poland Voivodeship since 1999. The settlement probably arose in the 13th century, Leszno in the Polish Poznań Voivodeship was first mentioned in historical documents in 1393, when the estate was the property of Stefan z Karnina of Wieniawa Coat of Arms. The family adopted the surname of Leszczyński from the name of their estate according to the custom of the Polish nobility. In 1631, Leszno was vested with further privileges by King Sigismund III Vasa, at that time it already had a Gymnasium school led for a period by Jan Amos Komenský from Fulnek in Moravia, an educator who was a bishop of the Unity of the Brethren. From 1638 until his death in 1647, Johann Heermann, a German-speaking poet, between 1636 and 1639, the town became fortified and its area increased. The golden era of Leszno ended during the Second Northern War, quickly rebuilt afterwards, it was again set on fire during the Great Northern War by Russian forces in 1707 and was ravaged by a plague in 1709. The Leszczyński family owned the city until 1738 when King Stanisław Leszczyński sold it after he had abdicated for the second time. 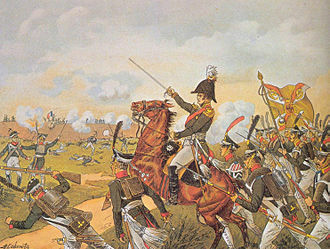 During the Second Partition of Poland in 1793, Leszno was annexed by the Kingdom of Prussia, in 1887 it became the administrative seat of the Prussian Kreis Lissa. 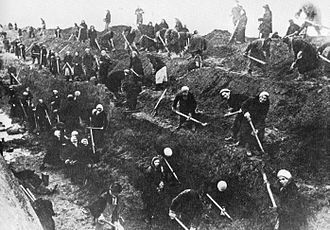 The town took part in the Greater Poland Uprising of 1918–19 and was returned to the Second Polish Republic by the Treaty of Versailles with effect from 17 January 1920, the local populace had to acquire Polish citizenship. In the 1939 Invasion of Poland, the town was annexed by Nazi Germany, the Polish population was resettled to the General Government. Most of the towns Jewish population and remaining Poles were murdered by the Nazi Einsatzgruppen, after the defeat of Nazi-Germany, the town returned to Poland in 1945. It underwent a period of fast development especially between 1975 and 1998 when it was a seat of an administrative area. In 2000 the city was awarded The Golden Star of Town Twinning prize by the European Commission, Leszno is twinned with, Montluçon in France Unia Leszno speedway club The Leszno motorcycle club was founded on May 8,1938. Chemnitz, known from 1953 to 1990 as Karl-Marx-Stadt, is the third-largest city in the Free State of Saxony, Germany. Chemnitz is an independent city which is not part of any county, located in the northern foothills of the Ore Mountains, it is part of the Central German Metropolitan Region. The citys economy is based on the sector and manufacturing industry. Chemnitz University of Technology has around 10,000 students, Chemnitz is named after the river Chemnitz, a small tributary of the Zwickau Mulde. The word Chemnitz is from the Sorbian language, and means stony, the word is composed of the Slavic word kamen meaning stone and the feminine suffix -ica. It is known in Czech as Saská Kamenice and in Polish as Kamienica Saska, there are many other towns named Kamenica or Kamenice in areas with past or present Slavic settlement. 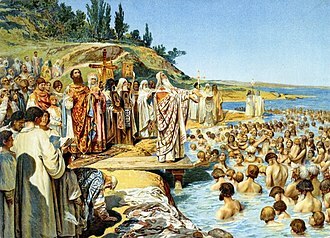 An early Slavic tribes settlement was located at Kamienica, and the first documented use of the name Chemnitz was the 1143 site of a Benedictine monastery around which a settlement grew, circa 1170 Frederick I, Holy Roman Emperor granted it the rights of an imperial city. In 1307, the town became subordinate to the Margraviate of Meissen, in medieval times, Chemnitz became a centre of textile production and trade. More than one third of the worked in textile production. By the early 19th century Chemnitz had become an industrial centre, in 1913, Chemnitz had a population of 320,000 and, like Leipzig and Dresden, was larger at that time than today. After losing inhabitants due to the first World War Chemnitz grew rapidly again, before the world economic crises, it was supposed that the city would keep on growing and would become a Millionenstadt by incorporating fast growing smaller towns and municipalities around it. During World War II, Chemnitz contained factories that produced military hardware, 2/3–5 March, USAAF bombers attacked the marshalling yards. 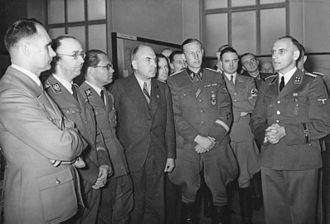 5 March,760 RAF bombers attacked, the headquarters of the auto manufacturer Auto Union were based in Chemnitz since 1932 and its buildings were badly damaged. At the end of the war, the companys executives fled and relocated the company in Ingolstadt, the World War II bombings left most of the city in ruins, and post-war, the East German reconstruction included large low rise housing. Clearwater is a city located in Pinellas County, United States, northwest of Tampa and St. Petersburg. To the west of Clearwater lies the Gulf of Mexico and to the southeast lies Tampa Bay, as of the 2010 census, the city had a population of 107,685. It is the county seat of Pinellas County, Clearwater is the smallest of the three principal cities in the Tampa-St. Petersburg-Clearwater metropolitan area, most commonly referred to as the Tampa Bay Area. Cleveland Street is one of the citys avenues and the city includes Spectrum Field. The city is separated by the Intracoastal Waterway from Clearwater Beach, Clearwater is the home of Clearwater Marine Aquarium, where bottlenose dolphins Winter and Hope live. Clearwater is the spiritual headquarters for the Church of Scientology. Present-day Clearwater was originally the home of the Tocobaga people, around 1835, the United States Army began construction of Fort Harrison, named after William Henry Harrison, as an outpost during the Seminole Wars. The fort was located on a bluff overlooking Clearwater Harbor, which became part of an early 20th-century residential development called Harbor Oaks. University of South Florida archaeologists excavated the site in 1962 after Mark Wyllie discovered an under ground ammunition bunker while planting a tree in his yard. The areas population grew after the Federal Armed Occupation Act of 1842 offered 160 acres to anyone who would bear arms, early settlers included the Stevens, Sever and McMullen families, who claimed and farmed large tracts of land. Prior to 1906, the area was known as Clear Water Harbor, the name Clear Water is thought to have come from a fresh water spring flowing from near where the City Hall building is located today. There were many other freshwater springs that dotted the bluff, many in the bay or harbor itself, originally part of Hillsborough County, the first road joining Clearwater and Tampa was built in 1849, which dramatically reduced the prior day-long commute between the cities. During the American Civil War, Union gunboats repeatedly raided the communitys supplies, the town began developing in the late nineteenth century, prompted by Peter Demens completion of the first passenger railroad line into the city in 1888. The restored market of Chemnitz. The cableway near Yalta's Ai-Petri peak. Saint Hripsime Church of Yalta. 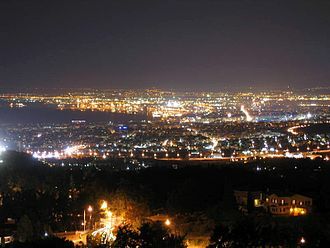 Night view of central Thessaloniki from Panorama.